Belt conveyor systems have been around for a long time. These systems are used for transporting raw materials and finished materials, for shipping and racking, as well as automating processing. The conveyor systems are named so because they feature two or more pulleys associated with a moving continuous belt. Being popular, these systems are also sold online. It is quite easy to find new and used belt conveyor systems on various online stores. As with any other industrial equipment, investing in new belt conveyor systems has its own perks, whereas used ones aren’t bad either. After knowing this, it is quite obvious to think, why used belt conveyors can be a good choice? Read the post to know more. There are several benefits of employing the used belt conveyors for conveying applications. The following points will help you realize it better. Best Value for Money: This is one of the most important benefits associated with used conveyors. You can get the best value for money. What if you can avail the used ones at half prices than the new ones, and still enjoy the same benefits? 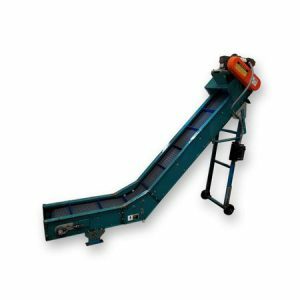 Abundant Varieties of Used Belt Conveyors Available for Purchase: Today, it is easy to find all popular varieties of belt conveyors online. Sometimes waiting for the new machine can be time-consuming, whereas buying used belt conveyors are quite easy. You are likely to find the following types of used conveyors online. Flat Belt Conveyors: These conveyor systems feature flat belt made from natural or synthetic fabrics. The belts are often made from materials such as nylon, polyester, and other materials. Products positioned on the top of the belt is carried to the other end of the system through powered pulleys. Cleated Belt Conveyors: The belt conveyors feature barriers or cleats, which are lined along the belt width. Modular Belt Conveyors: These conveyors feature belts comprising interlocked segments. The segments are typically made from hard plastic. Curved Belt Conveyors: The conveyors feature a curved frame, which helps carry raw and finished materials around the corners. Decline and Incline Belt Conveyors: These conveyors are the best solution, when it comes to carrying materials up and down. The incline conveyors use textured or cleated belts to convey the products. These belts help protect the materials from falling off the line. The choice of the belts depends on two factors – the type of the material to be conveyed, and the angle of conveyance. Wire Mesh Conveyors: The conveyors of this type are ideal for high temperature parts, or other aggressive parts. Metal Nub Top Belting: These conveyors are employed for conveying specialty machines, as well as other top machine parts. Roller Top Belts and Chains: The conveyors of this type are ideal for carrying delicate parts. Enables Better Cash Flow Management: It is quite obvious that you may purchase a new conveyor using cash or finance it through a loan. Have you ever thought about the impact created by the investment in other areas of business? The low purchasing price of the used conveyor means that you can manage your cash flow efficiently. You have less pressure to make payment. Also, you can utilize the finances for other investments. As mentioned above, there are various advantages of buying used belt conveyors for sale online. It is important that you source these machines from a reliable supplier such as J&M Industrial.